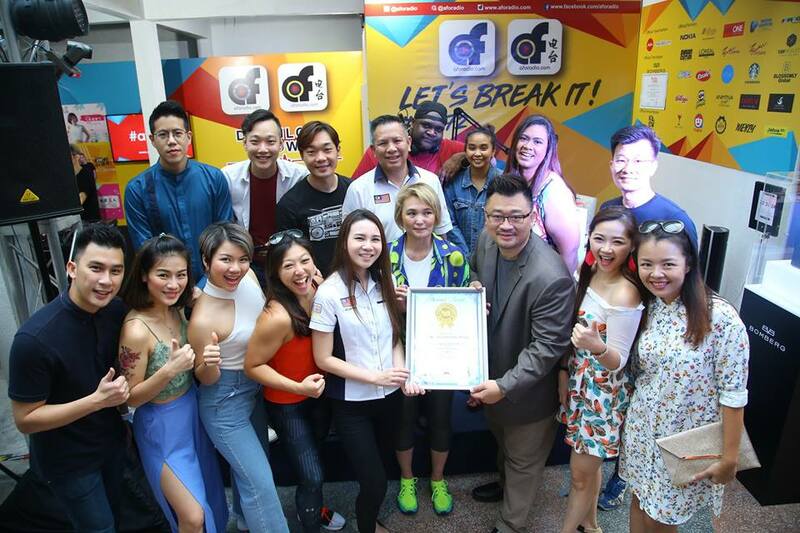 AFO RADIO - We are officially in the Malaysia Book Of Records ! We are officially in the Malaysia Book Of Records ! 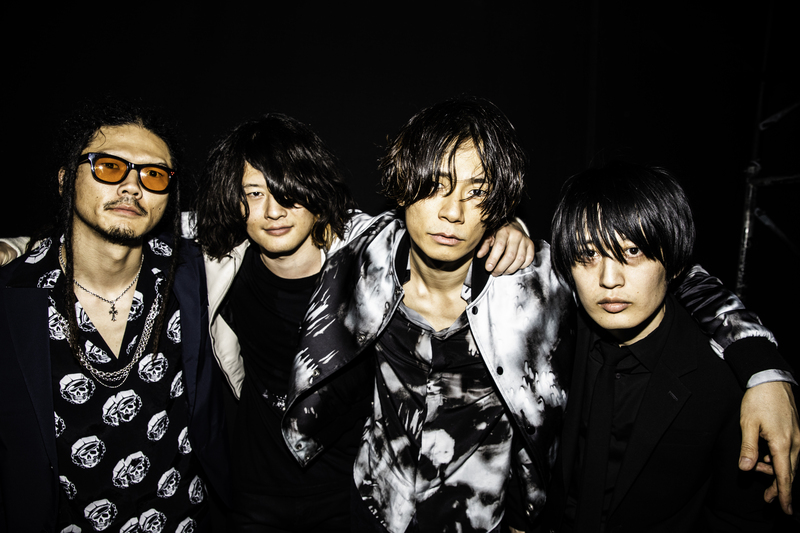 "We are the longest non-stop outdoor online radio broadcast holder." 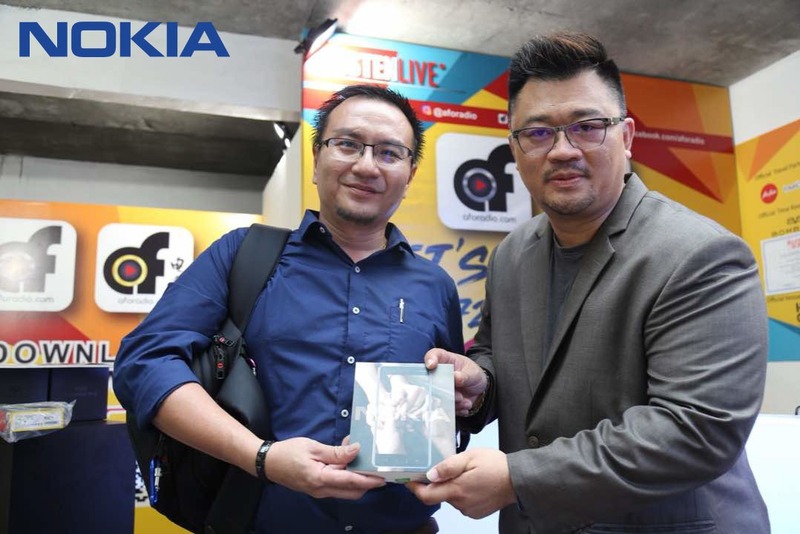 In conjunction with the launch of our 2ndstudio strategically located along KL City Walk, AFO Radio attempted a challenge that has never been done before by an online radio station in the country. 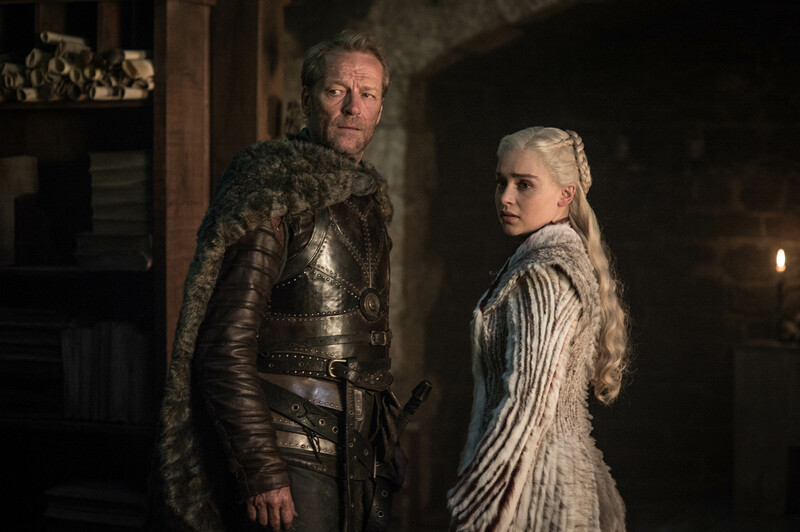 The attempt, which was to broadcast outdoors LIVE for 72 hours non-stop by an online radio station, seemed almost too simple for the team who arranged a host of celebrity guests to be apart of their attempt from sun rise to sun down all for the sake of getting into the Malaysian Book of Records! From left : Ms. Gillian Ooi - Business Development from the Malaysian Book of Records, Datuk Judy Ng - Managing Director of Desa Sejati Sdn Bhd (Holding company for Citywalk Enterprises) and William Lim - CEO of AFO Radio. 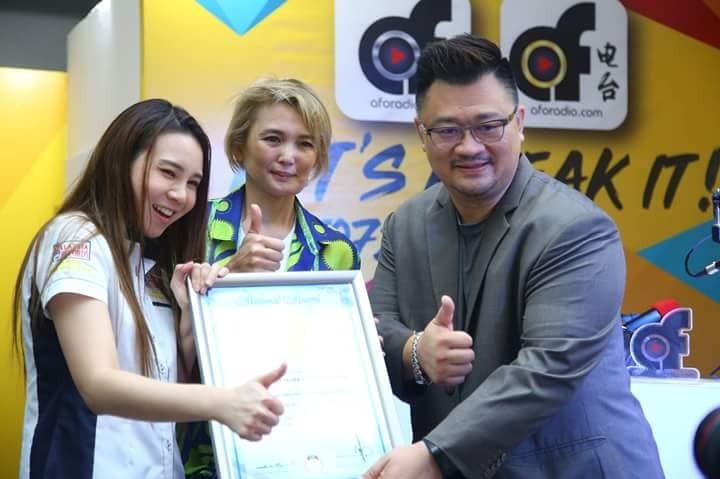 The Director of Business Development from the Malaysian Book of Records, Gillian Ooi presented the acknowledgment certificate to the CEO of AFO Radio, William Lim and said that she was impressed by the hard work and determination put in by the team and that she was proud of the station for holding on for 72 hours together! Also present to witness the award presentation was Datuk Judy Ng, the Managing Director of Desa Sejati Sdn Bhd(Holding company for Citywalk Enterprises). 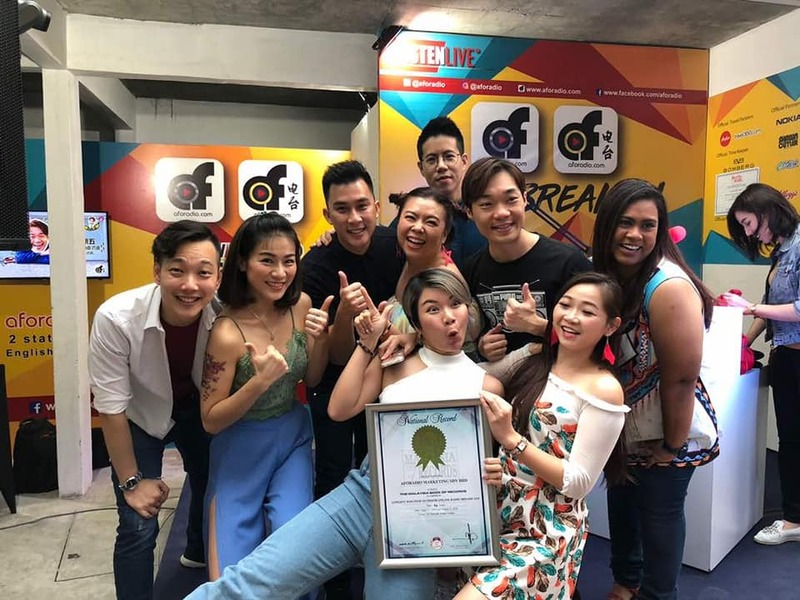 To mark the achievement and reward its listeners for their undying support, the station threw a finale party at their studio in KL City Walk on Saturday morning with a special appearance by Lawalah Familia! 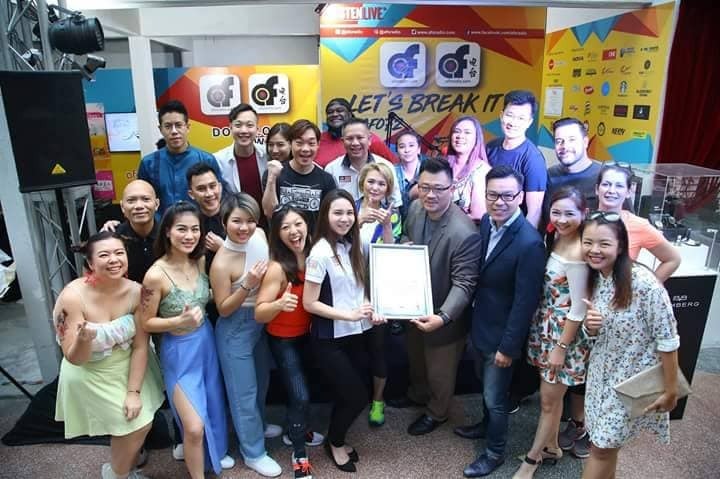 Thanks to generous sponsors, prizes worth RM100,000 were given away to guests and listeners who were present to support the station at the finale. 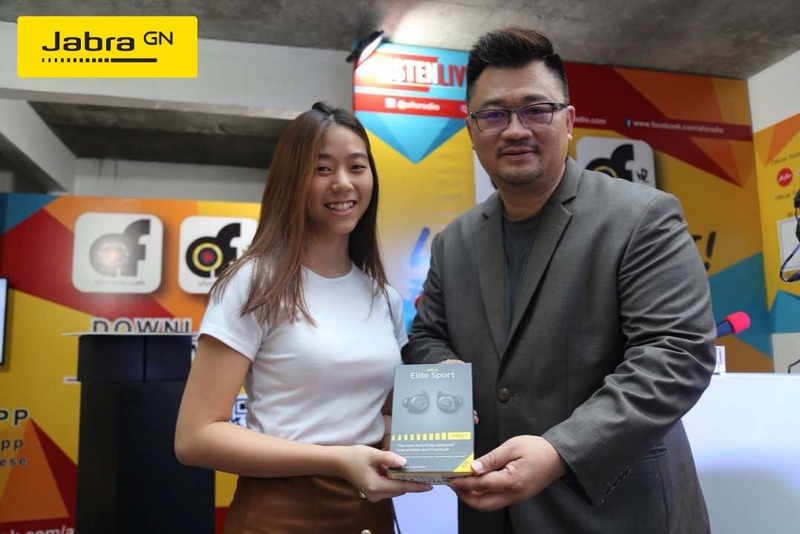 Gan Mun Wai, a listener from Ipoh and Tan Yee Yee walked away with Bomberg Watches worth close to RM9000. 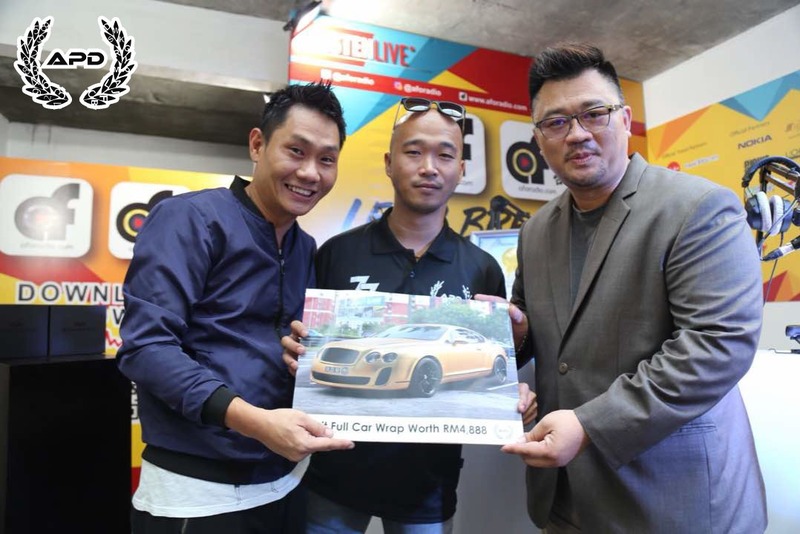 Khairunnisa and Wong Kok Onn were happy owners of the latest Nokia 8 smart phones, and Ooi Kok Tong won himself an Auto Plate Division (APD) Car Wrap worth RM4888! From Left : Brian Tham – Managing Director of Watatime, Gan Mun Wai listener from Ipoh and William Lim CEO of AFO Radio. 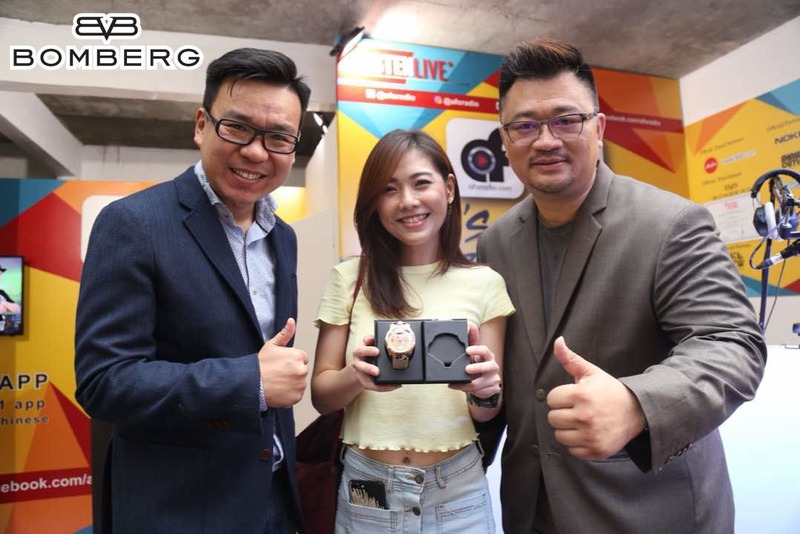 From Left : Brian Tham – Managing Director of Watatime , Tan Yee Yee and William Lim- CEO of AFO Radio. 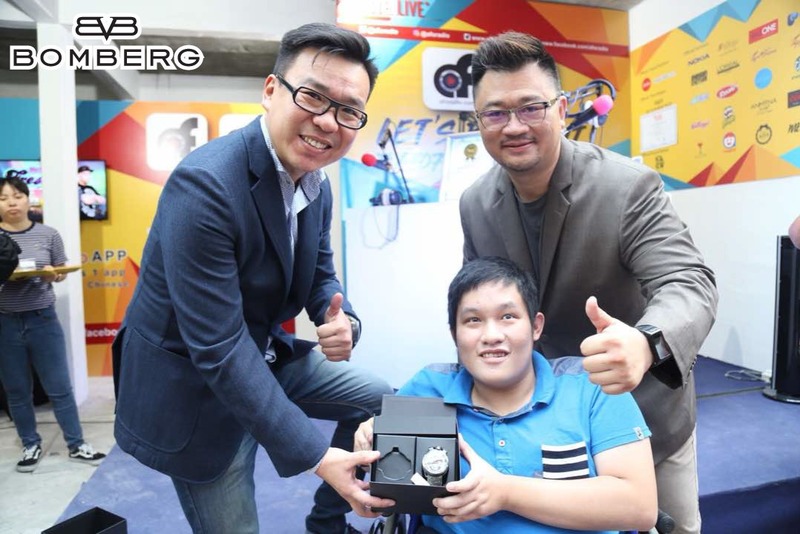 From Left : Mr .Ooi Kok Tong , Mr. Wallace – Founder of Auto Plate Division and Mr.William Lim - CEO of AFO Radio. At the end of the afternoon, everyone present left happily with goodie bags and prizes from Air Asia, Travel 360.com, Bio Essences, redONE , The Federal Hotel, Pantai Hospital Cheras, Anmyna Beauty Products , Cozena Beauty Products , ePure Skin Care , Room808 , Merly Beauty , Cincin Restaurant Wine , TGV Cinemas , TGV Pictures , Pringles , Cowa , Rasaku, Shawn Cutler , Loreal , Starbucks , Kelloggs , Traqkid, Blossomly Global , TJMProducts , Pop Sockets, Soul Products , Bacchus. 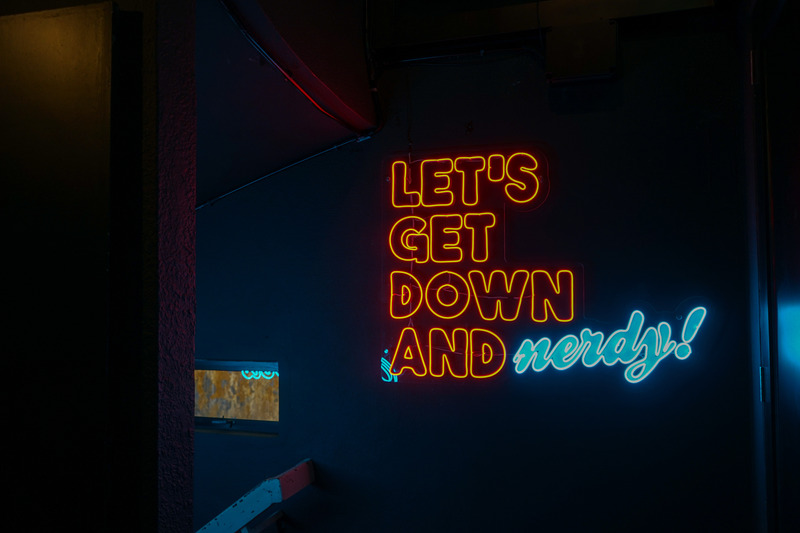 AFO Radio continues to reward its listeners through contests and events, and all you need to do to get in the buzz is to download their app from your app store and listen in to aforadio.com! The AFO Radio & AFO Dian Tai Families.